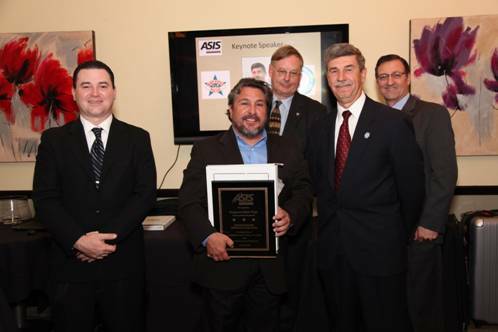 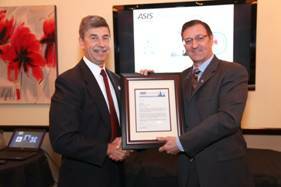 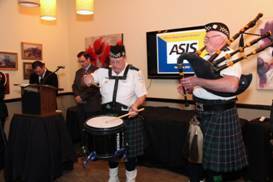 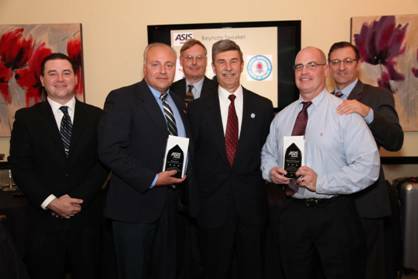 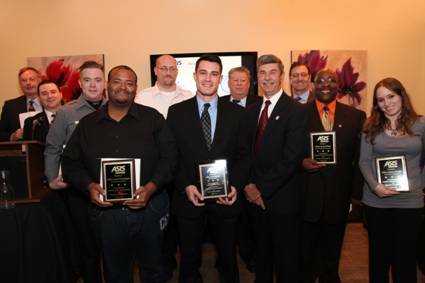 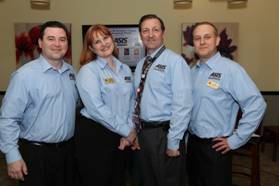 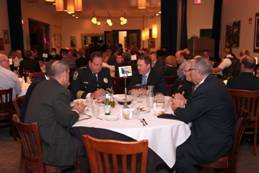 On October 8th, the ASIS International Illinois North Shore Chapter #147 hosted their 2nd Annual Officer Appreciation Dinner to recognize both Law Enforcement and Private Security Officers for their dedication to safeguarding community and organizational assets. 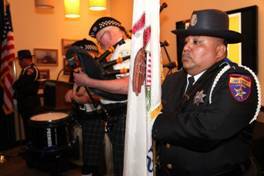 The focus this year was to solidify a community outreach and public-private partnership program honoring the greater Northern Illinois law enforcement and private security officers for their dedication to selflessly serve member organizations and communities. 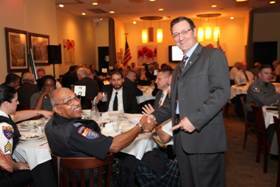 "SGT MARK POYA WAS OFF DUTY IN A LOCAL ESTABLISHMENT WATCHING A SPORTS EVENT WHEN TWO ARMED MEN ENTERED AND ANNOUNCED A "HOLD UP. 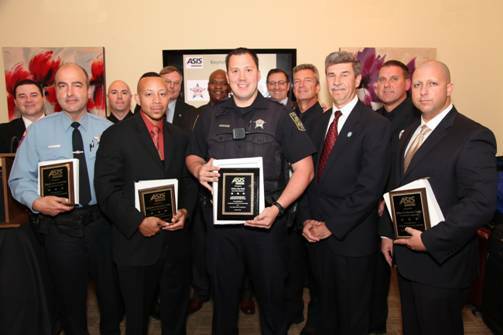 "� SGT POYA REMAINED CALM BUT OBSERVED ONE PATRON FLEEING OUT A SIDE DOOR TO ESCAPE THIS SITUATION.� ONE OF THE ARMED OFFENDERS BEGAN A CHASE; SGT POYA KNEW THIS INDIVIDUAL WAS IN IMMEDIATE DANGER AND DISREGARDING HIS OWN PERSONAL SAFETY PROCEEDED THROUGH THE SAME SIDE DOOR TO THE OUTSIDE.� ONCE OUTSIDE, HE OBSERVED THE PERPETRATOR STANDING OVER THE PATRON WITH HIS FIREARM AIMED AT THE PATRON'S HEAD.� SGT POYA ANNOUNCED THAT HE WAS AN OFFICER OF THE LAW AND AN EXCHANGE OF GUNFIRE ENSUED.� THE 2ND OFFENDER HAD ALSO EXITED THE ESTABLISHMENT AND CAUSED SGT POYA TO TAKE COVER BEHIND A PARKED VEHICLE.� AN EXCHANGE OF GUNFIRE CONTINUED WITH THE TWO OFFENDERS.� WITHIN A FEW MINUTES THEY MADE THEIR WAY TO A VEHICLE AND FLED THE SCENE.� NO PATRONS WERE INJURED OR KILLED DURING THIS ARMED ENCOUNTER AND CITIZENS WERE PROTECTED FROM POTENTIAL GUN VIOLENCE.� SGT POYA REPRESENTS THE BEST THAT THE LAW ENFORCEMENT COMMUNITY HAS TO OFFER AND IS OUR DISTINGUISHED OFFICER OF THE YEAR FOR EXHIBITING EXCEPTIONAL COURAGE, WITHOUT THOUGHT OF HIS PERSONAL SAFETY, TO PROTECT HUMAN LIFE."